Screens often accompany door packages and Humphrey and Stretton are able to design and manufacture a wide variety of different timber screens and panels. A screen above a door opening is referred to as a fanlight. A solid panel above a door is referred to as an overpanel. A screen situated immediately next to or ajoining with a frame jamb is recognised as being a sidescreen or sidelight. Finally, a screen can be a standalone unit situated in a wall opening. These can also accept sliding glass for use as a serving hatch or similar. All varieties can come in many different shapes and sizes, whether to match an existing screen or to suit shaped wall opening (archways, angled beams etc.) and the screens can consist of many different sections. 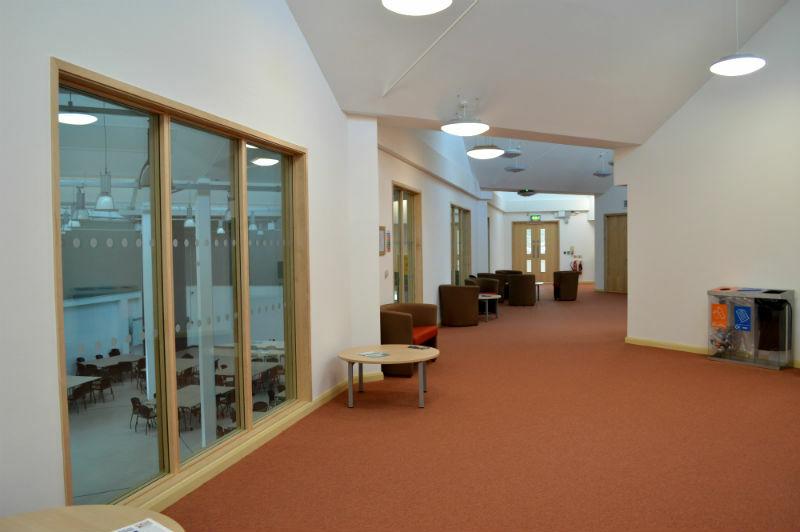 With the implementation of timber posts a screen can even form a partition from floor to ceiling and utilise both glazed and solid panel sections. 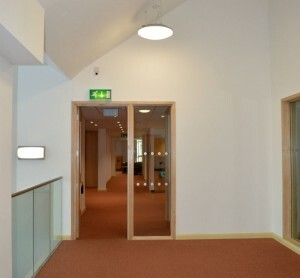 Any screen will need to be glazed to match the performance of the doorset it is installed above – be it an acoustic or fire performance requirement. Humphrey and Stretton can provide glass but it is often advised that the screen is anchored / fixed into the desired opening before glass is delivered separately – large panes of fire or acoustic rated glass can be very expensive and the risk of damage ocurring prior to installation is too great. Alternatively, Humphrey & Stretton can accommodate the glass coming from another source and supply suitable glazing systems depending on the specification which needs to be met. Talk to our design team to find out more.